Let me state for the record that I have not read any of the emails made public by Shia. My comment deals directly with Laura’s question re: actors learning their lines BEFORE the first rehearsal. In the 55 years that I have been involved with the theatre, I know of no one who has ever done that. I’m not saying it has never been done, just that it has not been my experience. Most actors like to learn their lines after they’ve been given the blocking (their movement on stage). This makes for an organic learning experience, at least for THIS actor! I’m looking forward to more Good Pop/Bad Pop. LNB, no mention of the movie Holes? The simple answer: both can stfu. The world would be mord peaceful. Graham, really??? Alec in Flatliners!?? Do your homework before attempting any form of criticism. 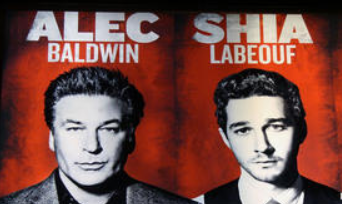 Alec’s 5 minutes in Glengary will eternally outshine Shia’s entire career. Maybe revise your blog and use that – no credit needed.